Carolyn King: Simply Stampin' Challenge # 72- "Let's Hear It For The Boys"
Simply Stampin' Challenge # 72- "Let's Hear It For The Boys"
It is a theme challenge this week at Simply Stampin' Challenge - "Let's Hear It For The Boys". I received my pre-order from Stampin' Up this week so just had to play with some of the new DSP Comfort Cafe, Midnight Muse cardstock and ink and also the Apothecary Accents Framelits. Stamp set used is "Up, Up & Away". I teamed these new colours and DSP with Soft Suede which is a co-ordinating colour. 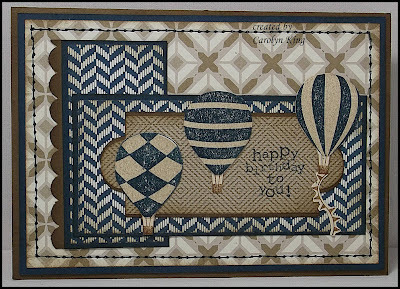 This card is a little sneak peak at the new products available on 1 September, 2012. What a fantastic masculine card Carolyn, great colours! Nice to see some sneak peeks - the DSP looks great, almost like fabric! Love your layout too! 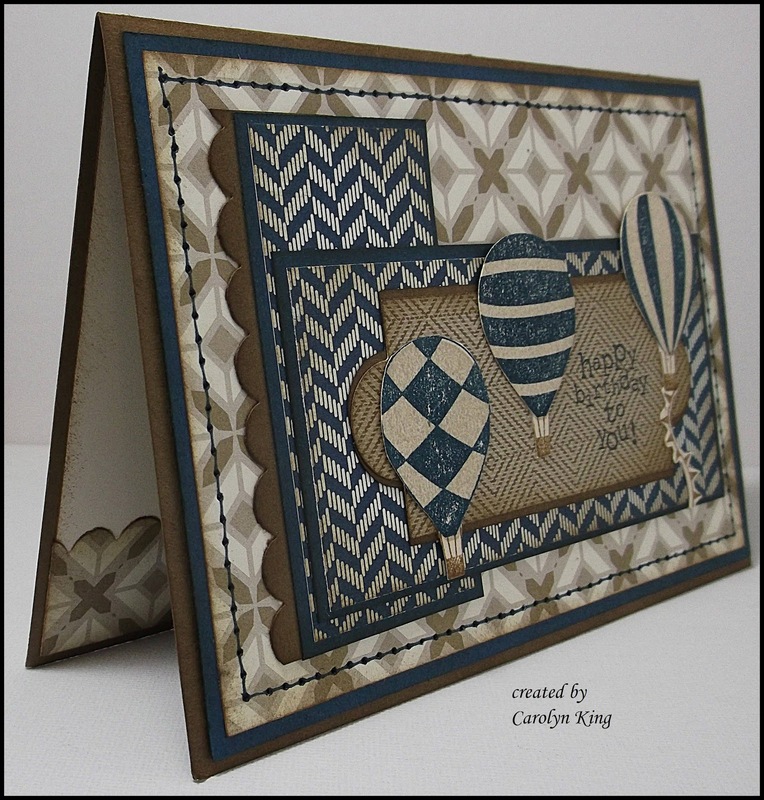 Thanks for joining us once more at Simply Stampin' and I hope you play along with us again soon! Wow - Awesome card! 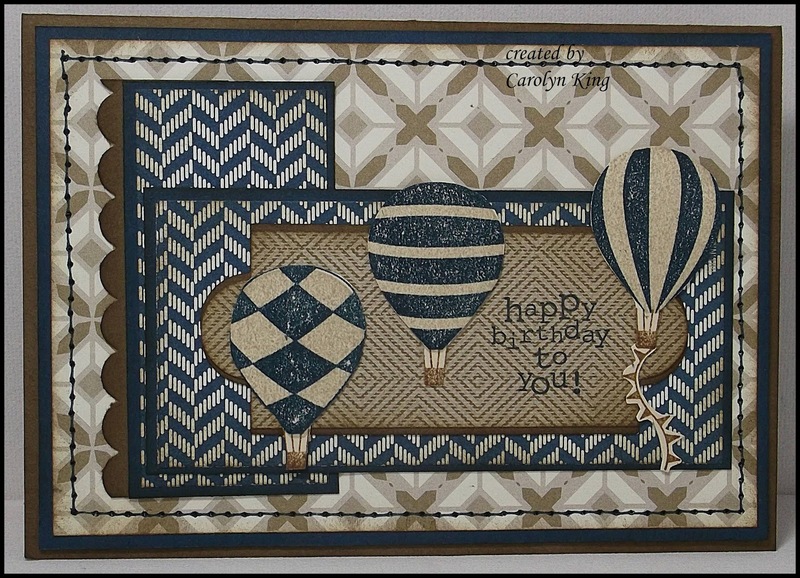 Great way to use the Comfort Cafe papers for a male card. Thanks for joining us each week at the Simply Stampin' Challenge. I love seeing your creations!